DUBUQUE, Iowa – Loras College, a private, a four-year Catholic liberal arts institution, has announced announces the hiring of Michael Bagby, D.M.A., as its new coordinator of liturgy and music. As coordinator, Bagby, a Dubuque native, manages the student-led ministries for Masses and events. He also collaborates with other Spiritual Life Division members to establish goals and objectives for liturgical programs and division initiatives. 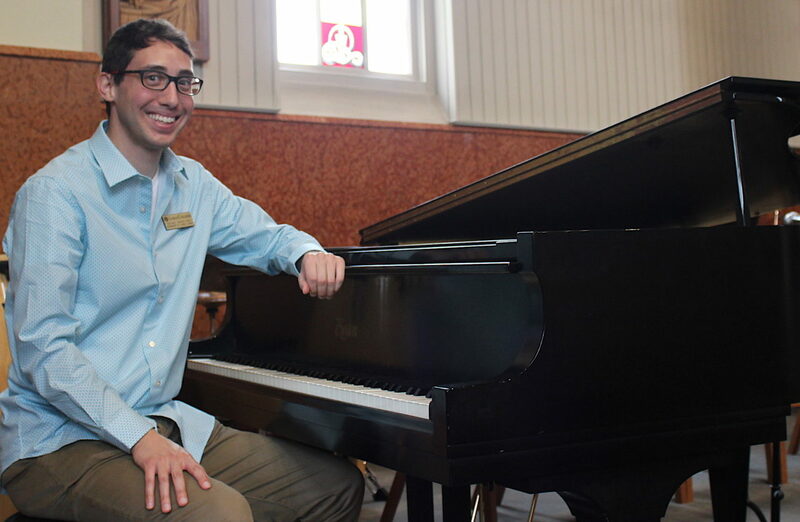 Bagby earned his bachelor’s degree in piano performance and K-12 vocal education from Iowa State University and master’s degree in collaborative piano from the University of Michigan. While there, he studied with renowned pianist Martin Katz. Recently, Bagby earned a doctoral degree in vocal coaching and accompanying from the University of Illinois Urbana-Champaign. With a keen interest in operatic production, he continues to work as the music director and pianist in the world premiere of “Nathan Gunn: Flying Solo,” featuring the famed operatic baritone. Among his other achievements, Bagby premiered his composition for solo piano, “Bells,” at Carnegie Hall and is a two-time recipient of the Nancy Wustman Memorial Award in Vocal Accompanying.